It was a Thursday night, February 14, Valentine’s Day, ordinary for most, but for the seniors of the Rockland High School girls’ varsity basketball team it was a very special night; it was their Senior Night. As is always the case on Senior Night, parents sat in the stands with bouquets of flowers for their daughters; cameras flashed, and the gym was decorated with balloons, signs and streamers. The night was almost perfect. There was just one thing missing….a student section filled with fans. Where was “Bulldog Nation”? Some were out for Valentine’s Day with their sweethearts for sure; some were working, some were studying, and some were an hour away in Monomoy watching the boys’ varsity basketball team. But why were there so few students in the RHS gym watching the girls’ team on their Senior Night? Going 0-5 at the beginning of the season, the girls then went on an exciting, seven game winning streak, and became the talk of the league. All the while the fan section was empty. Being a captain of the team I know how hard and how much work is put into the season on and off the court. During practice, in games, scouting with each other, every single day we girls worked to improve, and we did. The turn-around that the girls had was not accomplished by just going through the motions. It was done with personal pride and determination, but with very little student recognition. My favorite excuse was when I heard someone say that they weren’t going to the girls’ playoff game because they would rather “watch paint dry.” Really? Well, I hope they had fun watching paint dry while the girls put their hearts into an exciting game that so many did not see. 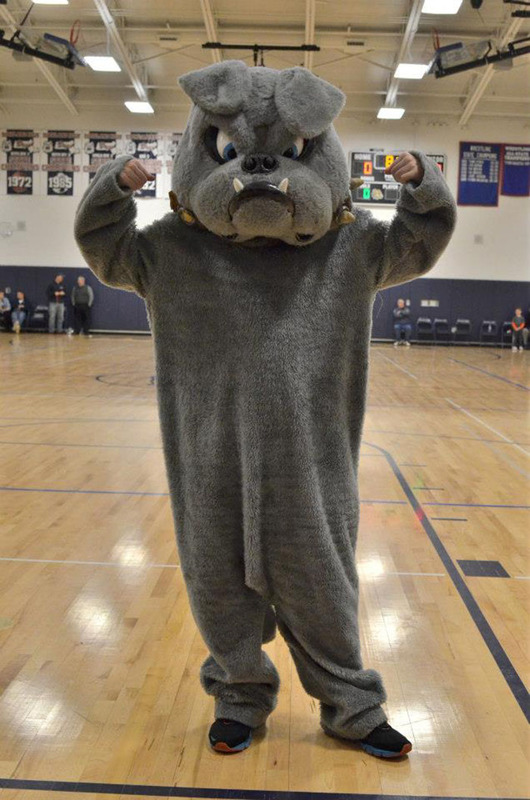 The boys’ basketball players and coaches did come to support the girls in the tournament game at East Bridgewater, but the rest of Bulldog Nation decided to stay home. Yes, they may be “girls” and may not be as strong or as big as some of the guys; they may not be able to dunk, but they play just as hard. You think the girls are boring? Please suit up, tie your laces tight and play starting point guard, Kyra Rose, one on one. She’s a freshman, and was just given the title of most promising new player by the Brockton Enterprise, and she’ll sure cross you up. Too bad so many missed her premiere season. Now, for you reading this who think I’m coming at a wrong angle, seeming to be completely against the boys, that is not the case. I support the boys. I was glad to see them get to the sectional semifinals, and I’m proud to see their names in the papers after all their great wins. I know how much hard work the boys put into their success and how much heart they have, and honestly, I think it’s great. But I believe that the publicity and the support should be equally distributed. Going forward, the girls will continue to work hard, improve and compete for a league title next year. But I’ll be waiting for the day when the seats are packed for the girls’ games as well as the boys’. I want to come back after I graduate to see headlines talking about the girls’ great wins. I want to have trouble finding a seat at one of the girls’ games. I want to read tweets saying, “Thanks #Bulldog Nation for coming out last night for our win,” posted by Ally Cerrato, Kyra Rose, Molly McDonough or any other player. 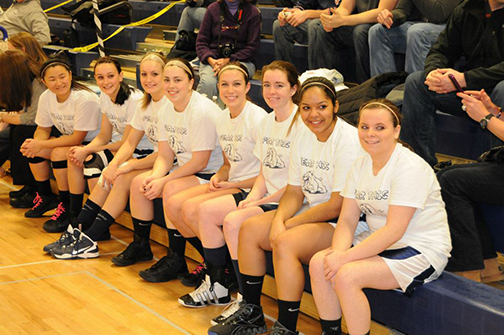 If you really do belong to Bulldog Nation, then make that a reality; give the girls a chance. Win or lose they work way too hard to not be seen or supported. Girls basketball seniors are left to right: Leah O’Bryan, Alex Reyno, Kayla Meech, Sarah Royle, Jill Krish, Bailey Olsen, Angelica Calderon and Kaylee Killion. They celebrated Senior Night on Valentine’s Day!